Climate alarmists are alarmed that a new IPCC report to be released on 8 October by the Intergovernmental Panel on Climate Change will reject their apocalyptic rhetoric and disaster predictions. They blame IPCC scientists for deliberately downplaying the danger of global warming in order to placate the Trump Administration and some of its fossil fuel allies. 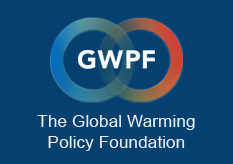 They say scientists working on the final draft of the summary are censoring their own warnings and “pulling their punches” to make policy recommendations seem more palatable to countries – such as the US, Saudi Arabia and Australia – that are reluctant to cut fossil-fuel emissions, a key cause of global warming. Exactly the same accusations were made back in 2014 when climate alarmists told the same paper the IPCC had ‘diluted’ its report under ‘political pressure’ to protect fossil fuel interests. According to a report in today’s Observer the IPCC report concludes that the rise of global temperatures by 2°C could have negative consequences for some countries, such as rising sea levels, spreading deserts, loss of natural habitats and species, dwindling ice-caps and increases in the number of devastating storms. • Warnings about the dangers that 1.5–2C temperature rises could trigger irreversible loss of the Greenland ice sheet and raise sea levels by 1–2 metres over the next two centuries. Over the years, climate activists and professional doom-mongers have repeatedly accused the IPCC of watering down the danger of climate change, of underestimating climate risks and of underestimating global warming. It would appear that the usual suspects are once again using the same trite mantra in order to prepare themselves for more disappointment.